Bloomfield Hills native Michael Underwood is moving to Potsdam, N.Y., soon. 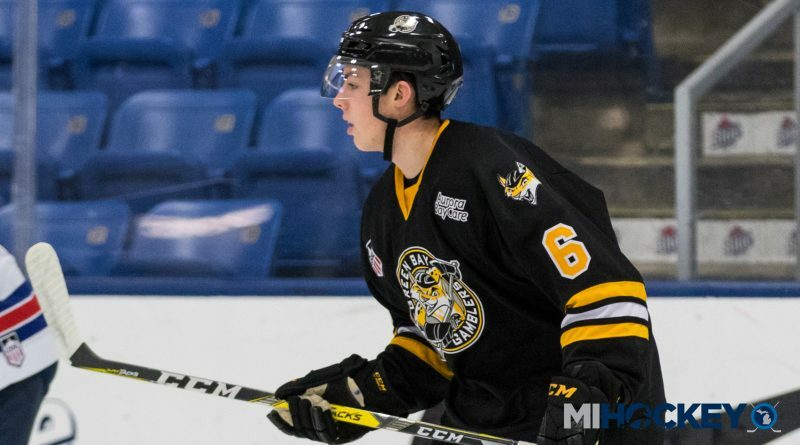 The Green Bay Gamblers defenseman recently announced his commitment to Clarkson, punching his ticket to the ECAC college hockey conference. “I chose Clarkson because they are one of the top programs in college hockey, the coaching staff is one of the best and I feel it will be the best place for me to develop and compete for a national championship,” Underwood told MiHockey. The 19-year-old blueliner played his midget hockey for the Oakland Jr. Grizzlies before making the jump to juniors. He spent 2015-17 with the Aston Rebels of the NAHL before picked by Green Bay in last spring’s USHL Draft. This year, he has six points and 35 penalty minutes in 33 games with the Gamblers. Underwood is expected to join the Golden Knights next fall.